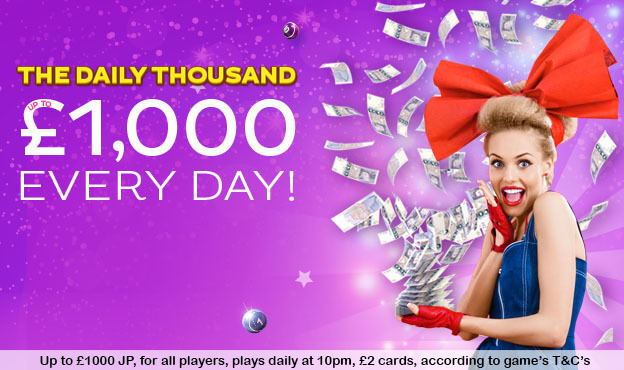 You can win up to £1,000 EVERY DAY in the Daily Thousand! 1TG and 2TG players share an EXTRA £100, giving you loads of chances to win! Get your tickets and play at 10pm. GOOD LUCK! The Daily Thousand game is available for all players. Minimum purchase of cards per game is 1p. The game is a sliding jackpot and players can win up to £1,000. There is an additional £100 for all 1TG and 2TG winners.